Astronomers of European Southern Observatory’s La Silla Observatory in Chile by the Wide Field Imager on the MPG/ESO 2.2-metre telescope have photographed a spiral galaxy,called NGC 6744, that could be a twin of our own Milky Way.The galaxsy NGC 6744 located in the constellation of the Peacock at a distance of 30 million light-years from Earth.With the help their studies astronomers found that both galaxies are similar in structure of the nucleus and the arms and NGC6744 has a satellite, galaxy NGC6744A, such as the Milky Way has the Magellanic clouds and the main difference between NGC 6744 and the Milky Way is the two galaxies’ size. NGC6744’s diameter is twice bigger than the diameter of our galaxy, which is nearly one hundred thousand light – years. 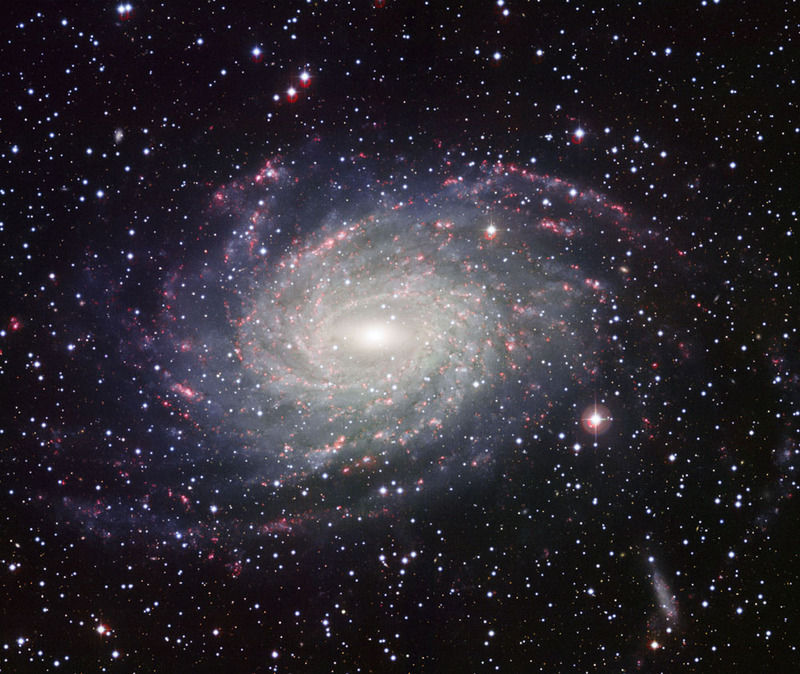 This galaxsy is one of the largest and nearest spiral galaxies to Earth. It’s about as bright as 60 billion suns, and its light spreads across a large area in the sky. So because of that galaxy can be seen also with the small telescope.